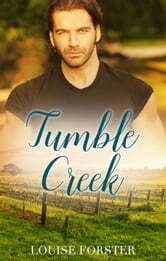 In the sequel to Home Truths, Louise Forster returns to the sleepy country town of Tumble Creek with the story of a cop, a teacher and a mystery that will bring them together–or tear them apart. Art teacher and occasional life model Sofie Dove wants to know what's up with Brock Stewart. Everything about the ex SAS soldier turned police officer seems to scream passion–and it's all for her–but he just won't express it. All she knows is that he has a past that still keeps him up some nights. After a semi–trailer crashes through Sofie's house and the driver disappears into thin air, Brock insists he's the only one who can keep her safe–but can he, when they can't seem to trust each other? While Sofie works on figuring out why this man keeps giving her mixed messages, Brock is determined to find out who's out to get her–as they both find out why falling in love is a bit like being hit by a truck.